Many of the time we all get fed up with the speed of internet connection, specially when watching videos on YouTube. This is all because of slow internet. YouTube is the worlds most popular video sharing site. It have millions of users. Watching videos on YouTube is usually like by all. I also like to watch videos on YouTube and had same problem earlier. Thanks now I got the good speed connection. But what for other, there are many of us who have same problem. Mostly with the common people who have slow internet connection but wants to watch the videos on YouTube. I have the solution of this. You can watch videos more smoothly. This will increase the buffering speed of the video. This can be done by using "YouTube feather beta". This helps to load YouTube video faster in a slow internet connection because it removes the entire information panel. This will remove many thing from your video browser window. It removed like, share, comments, also short the sidebar video list once you activate the YouTube feather beta. 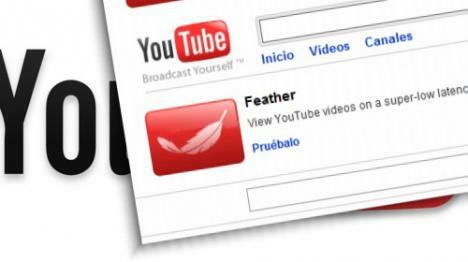 To activate it log-in to your account (you can use Google account also), and click on this YouTube feather beta link. Just click on the "Join "Feather" Beta". That's it you have done. Now watch your videos much faster then the earlier. You will see the message at the right bottom of the window like this when you activate the Feather beta.